After debuting at Teluride last week, Toronto favourite Jason Reitman has brought his second film of the year, The Front Runner, to TIFF for its Canadian premiere. The Film tells the story of US Senator Gary Hart (Hugh Jackman), a one-time presidential hopeful in the three weeks leading up to the Democratic National Convention. Hart is the front runner to be the Democratic nominee for President of the United States, but when the Miami Herald uncovers an extramarital affair, it will change the way the news reports on politics. 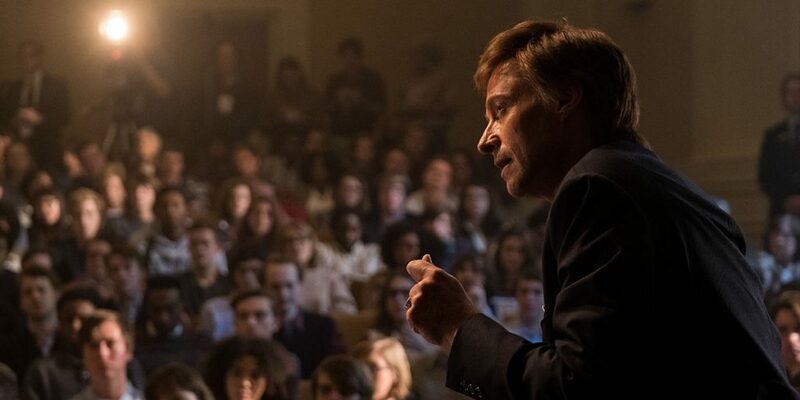 The Front Runner is downright fascinating in how it examines how news is reported, while asking deeper questions about morality and ethics. Reitman is at the height of his directorial powers here, shooting sweeping one-take shots with ease and focusing on an ever-growing ensemble of incredible talent — with Jackman in one of his most electric roles to date. The newsroom scenes are particularly terrific, but once the affair is uncovered, the film seems to get bogged down in mundane melodrama and begins to dramatically deflate. By the time the Film ends, it becomes completely devoid of energy and importance, and never seems to answer the question of why we should care about the moment when the news cycle was irrevocably changed forever. And if that was not disappointing enough, the Film criminally underutilizes Oscar-winner J.K. Simmons, which is quite simply unacceptable. The Front Runner screens Saturday, September 8 at 6:30PM at Ryerson Theatre, Sunday, September 9 at 12:30PM at Elgin Theatre, Friday, September 14 at 1:00PM at TIFF Bell Lightbox and Saturday, September 15 at 6:00PM at Ryerson Theatre.